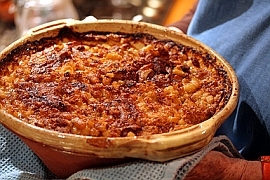 Castelnaudary is probably most famous for a 'peasant' dish of beans and various meats known as Cassoulet. It can take two days or more to prepare and is great comfort food for a chilly winter evening. The traditional cooking vessel is an earthenware pot from Issel called a cassole for which the dish is named. The ingredients include haricot beans grown in Pamiers or Lavelanet, duck confit, garlic sausage, pork, Toulouse sausage and mutton - but not necessarily all at the same time but a combination of several of them. If it's done absolutely to tradition, apparently is must be cooked in a baker's oven fired with rushes from the Montange Noire. In town you will find some fine old mansions, a restored windmill and an 18th Century semaphore tower. It is a real pleasure to spend a couple of hours in Castelnaudary having coffee or shopping for a picnic in the market. 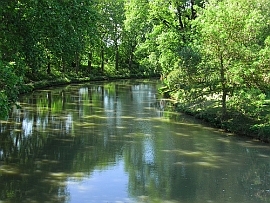 Today it serves as an important commercial centre for the rolling Lauragais farming country hereabouts, as it once was for the traffic on the Canal du Midi in the 17th century when agricultural and manufactured produce became easier to export to which it owed a period of prosperity. The Grand Bassin in the town at 7 hectares is the largest open area of water in the canal, and is today its major pleasure port. In fact, the most flattering view of the town is still that from the canal's Grand Bassin, which makes it look remarkably like a Greek island town, with its ancient houses climbing the hillside from the water's edge. The climate and weather in Castelnaudary due to its situation in the Mediterranean, offers one of the best and sunniest climates of the whole of France - there are more than 300 days of sunshine per year! 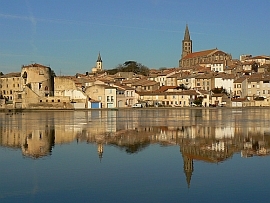 Castelnaudary and its region are attractive all year round. This guest house is a 12-minute drive from Castelnaudary and has an outdoor swimming pool and views of the Pyrénées. It offers free Wi-Fi and the choice of en suite rooms with a free breakfast or a self-catering cottage. The spacious accommodations at Chateau de Saint Jean des Plats feature period furniture and some have an open fireplace. Each has a private bathroom with a bathtub or shower. A continental breakfast is available for guests staying on a B&B package. All guests have free access to the gardens and the pool which is surrounded by sun loungers. 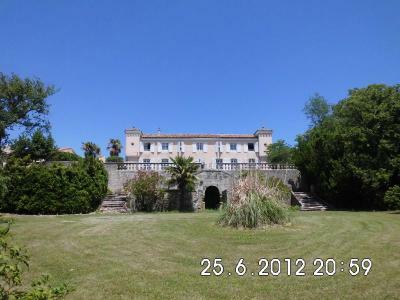 Chateau de Saint Jean des Plats is 9 km from the A61 motorway and 45 km from Carcassonne. Free private parking is provided on site. In the heart of Cathar country, near the centre of Castelnaudary, this bright, charming and friendly hotel has an excellent restaurant offering French and International cuisine.